I am the type of person that has a million thoughts rolling around in my head at all times. If I don't take at least an hour at night to unwind, thoughts will be swirling around in my brain as I lay in bed and sleep will just not come. I thought I would utilize my blog as an opportunity to write some of those thoughts down once a week in hopes of capturing those runaway thoughts and to document the little projects I am always working on in my head. Today I am kicking off a new feature here at Karen At Home that I am very excited about! 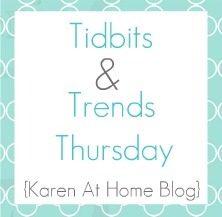 With that said, I introduce to you my weekly Tidbits & Trends post. The other day I was laying in bed watching "You Got Mail" on WE when a commercial came on for a new reality show called "Texas Multi Mamas." I literally almost fell out of bed because I recognized one of the Mamas in the show. It was Suz from Steece's Pieces blog. Anyone else read this blog? Steece's Pieces was one of the first blogs I ever read. I read this blog long before I ever had a blog or thought about having children. 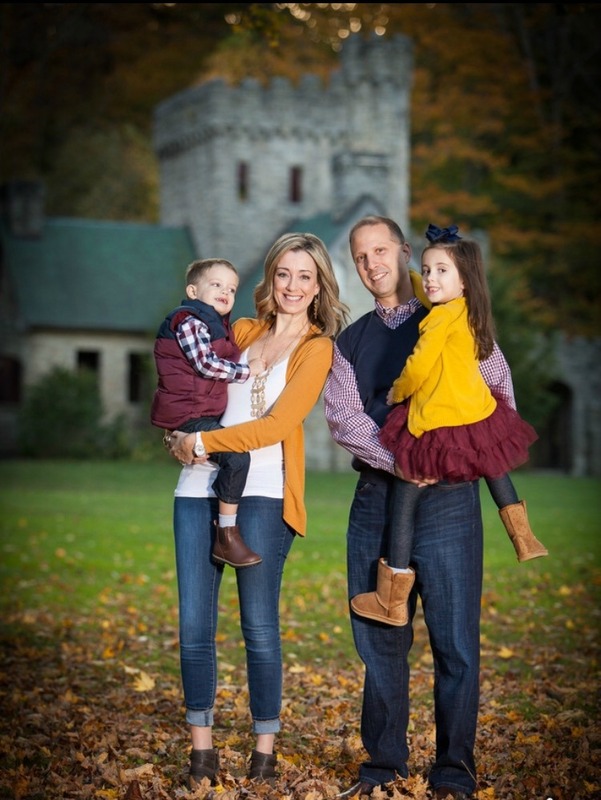 Her blog was so compelling to me as I followed her story of Infertility to an awesome Mama of Quads. I hadn't read her blog in sometime but I recognized her adorable haircut immediately. I have watched a few episodes already and I am loving it so far! Jillian's 2nd Birthday party is this weekend and I am so not prepared for it. Having a child's birthday around the holiday is tough! I am partied out but I so badly to give her a fun 2nd Birthday party. I am trying to keep the theme and decoration simple yet cute, hopefully it will all come together by this weekend! Is your Christmas decor still up or down? We officially took our tree down tonight after we both got home for work. We just couldn't stand it anymore. As I mentioned in my last post, our tree was seriously mangy and needed to be put out of it's misery. I thought Jillian would take it a lot harder than she did. She LOVED the Christmas tree this year. All Christmas lights were "Santa lights" to Jillian and it was adorable having her constantly ask us to turn the "Santa lights" on. I can't believe we are going to have two kids come next Christmas!!! 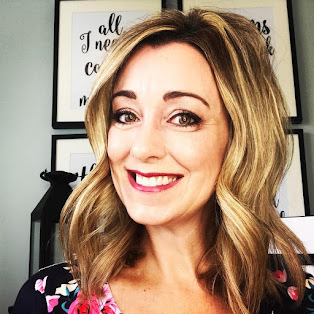 I have been enjoying reading my friend Sarah's Project 365 over at Life Sweet Life set to weekly summary posts. I have heard a lot over the years about Project 365, however, the thought of remembering to take a picture and documenting it every day was a bit daunting to me. I love Sarah's weekly summary posts of all the pictures she took for the week. A weekly post is something I can handle!!! Are you doing a Project 365 or 52 this year? Project 52 it is for me! I would love to hear if you are hoping to do a Project 365, Project 52 or something similar this year. How are you organizing all of the pictures? How are you remembering to take all of your pictures? My friend Melissa over at Stafford Stories recommended an awesome iPhone app to organize your daily pictures. You can also use the App to set up a daily reminder to take your picture. Such a great idea!!! Hope you enjoyed the first T&T Thursday! Enjoy your day! Happy Thursday. It is hard having birthdays around the holidays..know from first-hand experience. I am so thankful that I just read this post. I am doing Project 365 (a.k.a. - Project 52) myself this year on my blog (A Jenerek Life), and got so excited when I read that there is an iPhone app for it. I've been trying to email myself my pics everyday so I remember what photo was on what day. This will make life so much easier. I created a template in Photoshop, kind of like Sarah's, that I can drop a weeks worth of pics into to help keep some consistency to my weekly posts. I love your little cutie pie, Jillian. She is beautiful.